The perfect day awaits you. Consort Wine Tours offers you a day that is custom designed to combine your "must see" wineries, with our off the beaten path boutique wineries into a seamless day of relaxation and memories. Our belief is that "It is your day, and we strive to meet and exceed your expectations". Our team of experienced tour guides have a wealth of knowledge which will enhance your experience and allow you to discover amazing wines, vistas, caves, and personalities. True wine country pleasures await you. Cost: $85 per hour. Note: There are no hidden fees such as; fuel surcharges, service charges, or taxes. 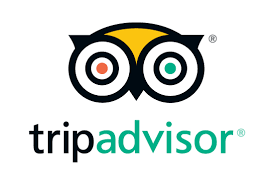 Trip Advisor Five Star Rating! The finest Hotels, Restaurants, Balloon Adventures, and Spas. Let us provide you with personalized transportation for groups of up to 6. We provide airport and dinner service as well. Please call to let us assist you for all your Wine Country planning needs.